The Coach and Horses01291 622626work RestaurantWith a prideful and quality demanding chef, loving owners and caring staff we provide only the best in service. We serve everything from real ales to fine wine. Whether you are popping in for a drink, booking a room for the night or having a three course meal we guarantee you will not be disappointed. With a prideful and quality demanding chef, loving owners and caring staff we provide only the best in service. We serve everything from real ales to fine wine. Whether you are popping in for a drink, booking a room for the night or having a three course meal we guarantee you will not be disappointed. 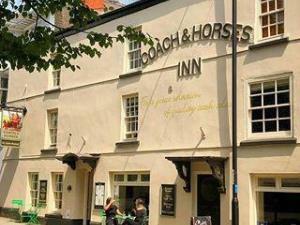 The Coach and Horses has recently under gone many changes. With a vision at heart we set out to create and provide an experience that will cater to everybody's needs. After undergoing a very large and costly refurbishment we feel we're that step closer to the dream we aim to achieve.